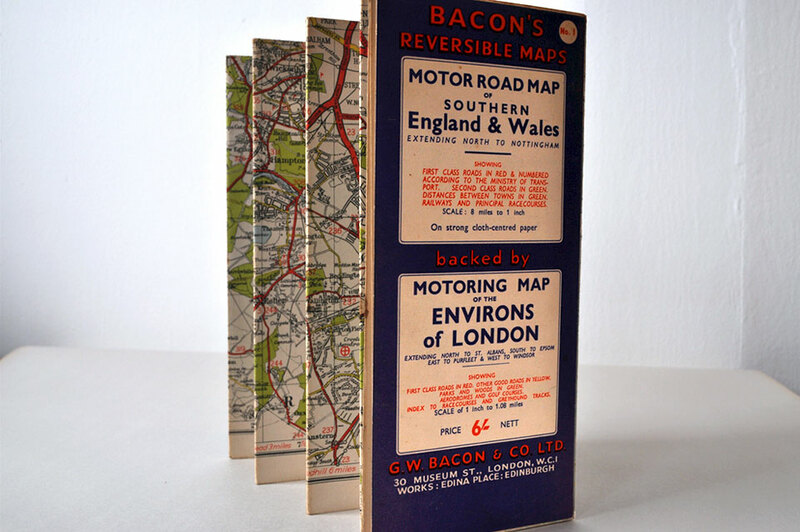 Bacon’s Reversible Maps. Price 6 ? Nett. Any Londoner’s out there who can tell me what the two symbols beside the 6 mean? All the ones of these I can find for sale seem to say 1949, so I assume that’s the date, but most curiously have no images, so I can’t quite confirm. Searching is a fickle monster. This is printed on “strong cloth-centred paper” – hence how well it has held up over the years and how sturdy it is. I was attracted by it’s colour, at the same antiques flea-market that lured me into getting Day 65’s Oh! How I Love You! Postcard and Day 64’s photo of a Captain on board a ship. It shows, amongst the usual suspects, “Index to Racecourses and Greyhound Tracks”, which kinda makes me want to go to London more than ever, to see those tracks. Actual paper maps are certainly being superseded (apparently not spelled with a c”) by the gps ones on smartphones, car devices etc. Although extremely useful, I myself frequently resort to my iPhone to know where I am, there’s no romance in them is there. Status: An unwavering keep. It’s been sitting neglected in a drawer since I bought it. The task now will be where and how to display. Sadly a lot of the dog tracks have also gone – I live not far from one – Catford Dogs – that’s been under development for years – the entrance is the only thing left standing now. 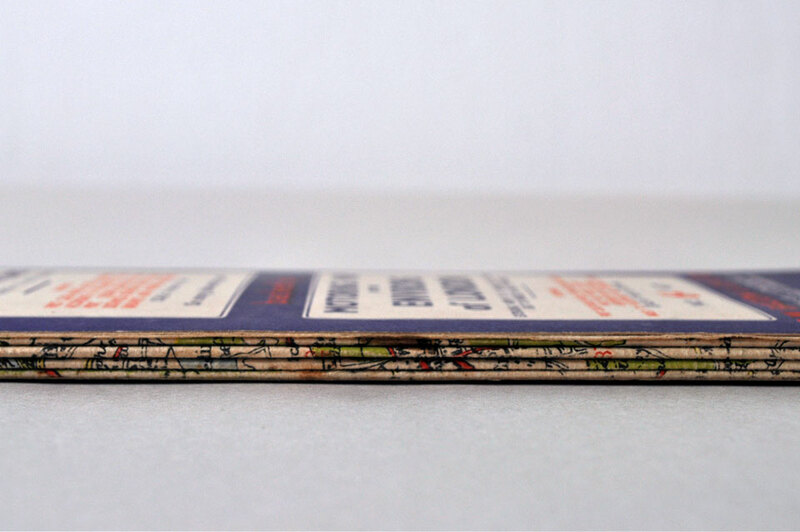 There’s something fascinating about old maps and I like the way the fold becomes a mountain in the middle picture. Thanks Ann, I thought it might be older currency. Yes, old maps hold that promise of mystery and adventure, don’t they?